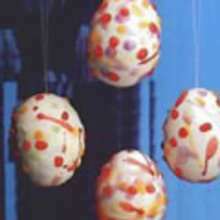 Now is the time for Easter and that means Easter egg hunts and eating lots of candies. That means lots of chocolate eating. So we created a Easter candy box craft tutorial. It is a perfect gift to make, fill with chocolate candies and give to friends and family during this joyous holiday. The Easter candy box is easy to make and you will have a fun time decorating it too! Tissue paper in two colors (example: yellow and green) Use any 2 spring colors you like. Place the green tissue paper in the bottom of the box. 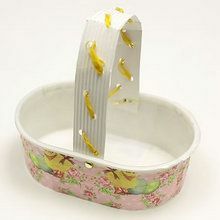 Place the yellow tissue paper in the lid of the box. 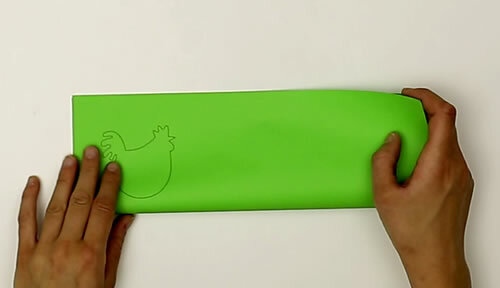 Fold the paper length wise that has the hen printed on it. Cut the chicken design making two cutouts. On the yellow sheet with the egg design you want to 3 fold to make 6 eggs total. (see video). 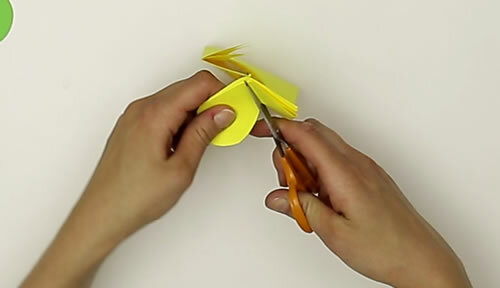 Cut the egg designs out with your scissors and glue 2 to each side of the box bottom. On the top of the box lid glue the 2 chicken design cutouts. Now you are ready to fill your special Easter box with yummy chocolate goodies to give as a gift to a friend or family member for Easter.